Invention problem solving is connected to essential expenses of labour and time, which is spent on the procedures of search and ordering of necessary knowledge, on generation of probable vari-ants of projected systems, on the analysis of offered ideas and de-cisions and understanding perspectiveness of them. The present article outlines the results of the developments in the field of cre-ating computing technology of the synthesis of new engineering on the level of invention. The most attention is paid to problem of computer aided designing on initial stages, where synthesis of new on principal technical systems is carried out. Computer-aided con-struction of new technical system is based on using of data- and knowledge bases of physical effects and of technical decisions as well as different heuristic systematization procedures. The synthe-sis of principles of function of the technical new systems is carried out with using experts knowledge and requires the application of the artificial intelligence methods and the methods of the deci-sions making theory for invention's tasks. Considered approach has been used for synthesis of new technical systems of different functional purposes and had shown high efficiency in computer-aided construction. This book proposes and proves a general hypothesis: social and economic evolution and modern society are the result of the expansion in time and space of genetic bases of the human psyche. The decoding of the molecular structure of the human genome and the identification of many genes, responsible for its psyche, mark a new stage in the development of the science about human behaviour. Geneticists have established that behaviour is 50% defined by hereditary factors and the remaining 50% by upbringing, experience, and consciousness. Psychogenomics – a science about the genes governing the psyche – has provided me with the starting point for revealing the structure of the human psyche and for the allocation of the invariant types of the psyche of participants in economic activities. Such an approach allows me to explain in a new way the structure and functioning of social and economic systems in the book: in particular, the direction of the evolution of the market capitalist economy, the rise and collapse of state socialism, modern global crises, and the prospects of national economies. In the book, the attempts of the most well-known psychologists and economists, including recent Nobel Laureates in economics, to account for the independent role of the psychological factor in social and economic development, are illustrated. In this context, one can divide psychologists and economists into three groups. The first group recognises the genetically caused features of the psyche, but treats them in a simplified and one-sided way. The second group considers the human psyche as something completely derived from the «environment». The third group has come closest to the truth. These psychologists and economists consider the complex, genetic-social nature of the psyche, and its heterogeneity in different groups of individuals. However, as psychogenomic data was not available to them, they therefore could not explain the division and interaction between elements that were genetically inherited from those that were obtained «from outside» of the psyche of participants in the economy. Nevertheless, in the works of this group of authors, a vast layer of knowledge has been accumulated, and the first three chapters of this book are devoted to a brief analysis of their points of views. In the following two chapters (chapters 4 and 5), a comparison of these views with the achievements of psychogenomics has allowed me to fill the division of the psyche accepted in psychology between the unconscious (genetic memory), preconsciousness (long-term and operative memory), and consciousness, with specific content, directly linked with social-economic activities. They allocate genetically inherited existential requirements, abilities, and instincts, on the one hand, and requirement and instincts, instilled since early childhood, on the other hand, as well as habitual forms of thinking and behaviour. This essentially new approach, which is defined throughout the rest of the analysis, consists of the allocation of three groups of requirements and instincts in the psyche of each person: (1) Individualism (directed towards the survival of the individual); (2) Sociality (directed towards the survival of kin); (3) Developments: In this way, unilateral characteristics of human nature as «individualistic» or «collectivistic» are refuted. In the psyche of the majority of people, the allocated groups of requirements and instincts counterbalance and supplement each other. At the same time, during millions years of evolution have also led to the development of such types of the human psyche, which, deviating from «equilibrium», were called on to contribute flexibility and variety to primitive society. These are the types of the psyche directed along one way, dominated by requirements and instincts of individualism, sociality, or development. In the book, the differentiation of types of psyche from the point of view of inborn and instilled requirements and instincts is combined with differentiation according to the character and level of the inborn and developed abilities – both general (intelligence, will, psychic energy, memory, attention, etc.) and specific. The interaction of people with different types of psyche, level, and character of abilities, allows one to explain both the genesis of the market capitalist system and its modern institutional structure. The combination in the inborn psyche of the majority of people of requirements and instincts – individualistic, on the one hand, and socialitarian, on the other hand, as well as requirements for development – has resulted, through their economic interaction over the course of thousands of years, in a combination of market (not personalised) and non-market (personalised) forms of exchanges of activities and distribution of goods and services. The concentration of individuals with an individualistic type of psyche, dominated by requirements and instincts of appropriation, accumulation, and aggression, in combination with high psychic energy potential and organisational abilities, has led to the formation of a class of businessmen. Large sums of capital, firms, and enterprises have emerged. Psychogenomics has provided the general foundation for the systematisation of different types of businessmen, characterised by T. Veblen, J. Schumpeter, W. Sombart, V. Pareto, J. M. Keynes, and other economists. In the book four basic types of capitalist-businessmen have been allocated: (1) The predatory type, accumulating wealth through the redistribution of wealth that had been saved up by others; (2) The innovator, creating new effective combinations of factors of production, technology, and products, and discovering new resources and markets; (3) The slave to routine, following the existing norms of management, technologies, and methods of production; (4) The opportunist, aspiring to benefit in any possible way, including through the infringement of rules and contracts. In the papers Materials of the XXVII International Coastal Conference “Arctic shores: shore-up to sustainability”, which took place in Murmansk on September 24-29, 2018 on the basis of the Murmansk Arctic State University (MASU) are presented. The edition is intended for wide circle of specialists in the field of study of coasts and coastal zone of seas and inland waters. The Conference is supported by the Ministry of Science and Higher Education of the Russian Federation and the Russian Foundation for Basic Research. Proceedings contains the papers of the EMECS’11 – Sea Coasts ’XXVI Joint Conference “Managing Risks to Coastal Regions and Communities in a Changing World” which held in St. Petersburg, Russia, August 22-27, 2016. The main organisers are the International Center for Environmental Management of Enclosed Coastal Seas (International EMECS Center) and «Sea Coasts» Working Group of the RAS Council on the World Ocean, the local organisers are the Russian State Hydrometeorological University (RSHU), P.P.Shirshov Institute of Oceanology of the Russian Academy of Sciences (IO RAS) and A.P.Karpinsky Russian Geological Research Institute (VSEGEI). The book presents materials of XXV International coastal conference, that traditionaly organize the ''Sea Coasts'' working group of Russian academy of sciences council on the World Ocean. Collection of abstracts affect the problems of hidro- and lythodynamics of coastal zone, ecology of coasts, integrated management of coastal areas, water engineering, paleoreconstruction and prediction evolution of coasts. The book in intended for geographers, oceanologists, geologists, hydro-physicists, water engineers and for under- and post-graduate students in corresponding fields. 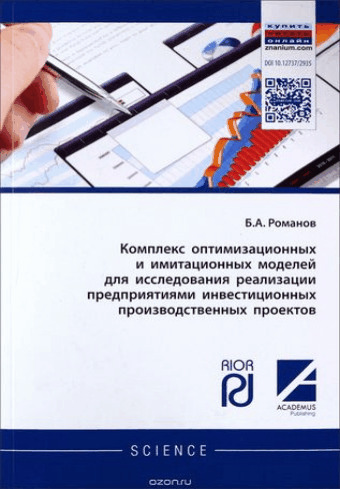 Publishing of scientific and educational works in the USA and Russia!